Grab the Hiring Manager's Attention. The main goal of a career summary is to immediately grab the hiring manager's attention and share your most impressive qualifications, up front. This summary is more effective than a resume objective if you have many years of experience or vast experience in a specific career field. It advertises more about you than a resume objective does. The summary is the first item on the resume, after your contact information. 1. Briefly overview your accomplishments that are relevant to the position you want. 2. Effectively capture your relevant skills and experience. 3. Match the qualifications that the company is asking for in the job description. Sprinkle in relevant keywords that are found in the job description. These keywords will help you stay in alignment with what the company is looking for. The summary should tell the employer exactly what you are qualified to do. All of the information should be highly relevant to the position that you would like. If you are applying for more than one position or career field, use a separate summary for each position to ensure that you stay on topic. What does a career summary look like? 3-6 sentences or bullet points. It specifies your experience and accomplishments that are most relevant to the job that you want. Career goals are clearly evident based on your experience and accomplishments. Avoid the words "I," "me," or "my." These words could be perceived as self-centered. Remember, it's not about you. It's about the company. Tell the company what you have to offer them. Describe specific results using numbers and/or percentages, wherever possible. What information should I include in my career summary? Years of experience, including the scope of your experience. Relevant educational degrees, certifications, special training, etc. Skills and experience that set you apart from the competition. 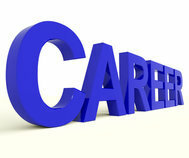 Areas of expertise in your specific career field. The following examples will help you combine the information on this page into a summary of your qualifications. Experienced Benefits Manager with over 15 years of experience leading the design, analysis, and implementation of benefit related programs. Rewarded for reducing Benefits Program costs by 25% which resulted in improved customer experiences. 8 years of direct benefit management experience with a Bachelor's Degree in Human Resources Management. Received 100% compliance scores in auditing processes, and ensuring compliance with plan provisions and federal, state and local laws and regulations. 10 years of call center experience including 5 years as a Customer Service Supervisor. Managed a team of 20 direct reports in a call center environment. Recognized for improving operational efficiencies by streamlining processes and increasing call service levels. Extensive experience in recruiting, hiring, and training Customer Service Representatives. Bachelor's Degree in Business Management. Results-oriented IT Professional with proven leadership skills. 8 years experience as an IT Operations Manager, plus 5 years as technical and desktop IT support in an enterprise environment. Before you make a final decision to create a career summary, take a few minutes to decide whether a resume objective may be a better fit for your resume. It all depends on your experience and career goals. Click here to learn the difference between the two. This is your first opportunity to interest the hiring manager. So take the time to get it just right, regardless of which option you choose. Now, let's move on to the Work Experience section. Find millions of jobs from thousands of company web sites, job boards and newspapers. one search. all jobs. Indeed.